We all love our doggies, right? What do you know about dogs? Here's some fun facts. The American Kennel Club recognizes 180 breeds of dog. But there are another 66 breeds in miscellaneous breeds or foundation stock service. 62 percent of households in the U.S. own at least one dog. 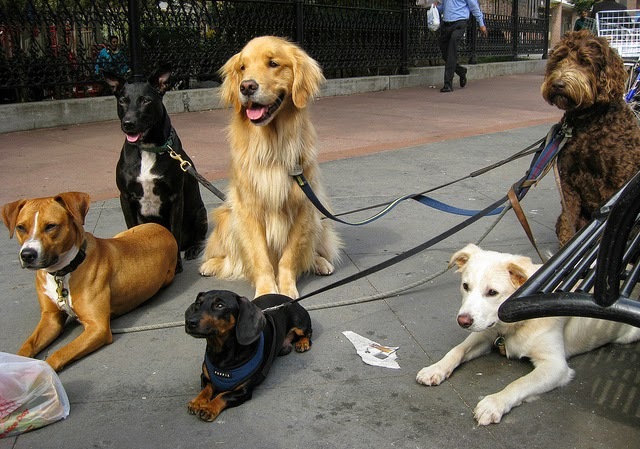 Pet spending in the U.S. for 2013: $55.7 billion. 20 percent: the number of dogs adopted from shelters. 33 percent: Dog owners who talk to their dogs over the phone, even leaving them voice messages. More Dogs live in the U.S. than in any other country. Dogs sweat through their foot pads. Dogs have about 1,700 tastebuds, while humans have 9,000. Dogs are not colorblind. They just don't see colors as vividly as we do. Dogs can see in the dark thanks to a special membrane in their eyes. Dog eyes also have a third eyelid which keeps the eyes moist and protected from dirt. Bloodhounds have 300 million scent receptors, beagles have around 200 million. Humans have around 5 million. The average dog can understand at least 250 words and gestures. Chaser the border collie purportedly knows over 1,000. According to American Kennel Club, a dog's intelligence is based on trainability (us beagle lovers know better). Dognition helps owners better understand their dogs and their level of intelligence. Pekingnese dogs were bred to be dog guards for the Chinese emperor. Smaller pekingnese were also kept in the sleeves as a last line of defense. Dogs can smell cancer, studies show. The smaller a dog is, the more likely they are to dream. Dogs can be left or right handed. Dog puzzle inventor and trainer Nina Ottosson says some dogs are also "paw dogs" and some are "mouth dogs," referring to how they attempt to solve puzzles. What's your favorite doggy fact?